According to the report "World - Walnuts - Market Analysis, Forecast, Size, Trends and Insights", recently published by IndexBox, in 2017, the volume of the global shelled walnut consumption stood at approx. 2.2M tonnes. There was a robust increase from 2008-2016, but then it levelled off due to a slight decrease of the supply in China; despite that, there was an average annual increase of +7.1% for the period from 2007 to 2017. In value terms, the global walnut market stood at $18.3B in 2017 (IndexBox estimates), recovering slightly after a sharp drop of 2016. A gradual increase over the period from 2010 to 2015 was followed by a sharp -12% decline in 2016, when the global walnut market shrank by afterwards, the market value bounced back slightly. These fluctuations were caused by a downturn in walnut prices in 2016 on the backdrop of large harvests in major exporting countries, but then the market stabilized. The export volume totaled 244K tonnes in 2017 which is 11% more than in the previous year. The volume of walnut export maintained a stable positive trend, growing with an average growth rate +6.0% per year. In 2017 the value of exports totaled $2,085M which was the peak value in the observed period. Unlike the export volume, the export value was fluctuating during the observed period due to price fluctuations. There was a sharp drop in 2016 due to a decrease in walnut price that year, depressed by an oversupply of rich harvests in major producing countries. In the following year, the prices bounced back slightly, and the value of imports has almost regained its former peak level. 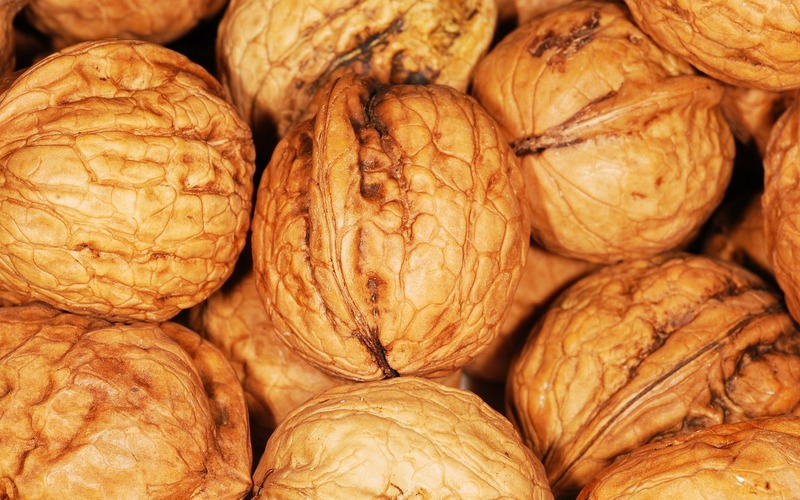 Germany was the fastest growing walnut exporter with a CAGR of +15.6% per year, however, as it . It was followed by Chile (+13.0% per year), Mexico (+11.3% per year) and Japan (+10.2% per year). The volume of global imports totaled 247K tonnes in 2017, which is 10% more than in the previous year. In value terms, it equated $1,732M. The volume of walnut import maintained a trend pattern which echoed that of the volume of exports: these trade flows complement each other at a global scale.